There was an idea logged over on community.oracle.com to add AskTom style print_table to sqlcl. 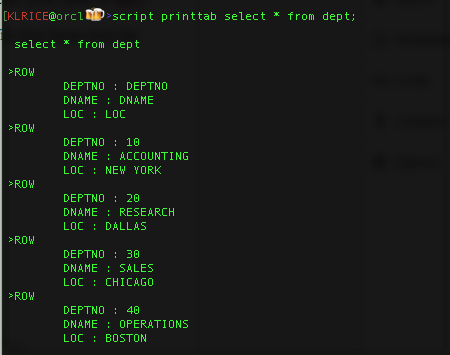 Here's how easy it is now that there's scripting in sqlcl. This is a simple js file that loops over the rows and columns and prints them. When using the executeReturnListofList the first row is the name of the columns for reference. With that data there it's quite simple to customize any output.